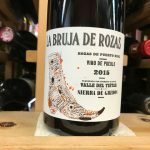 2015 Commando G La Bruja de Rozas ($22.99) is the entry-level red, “lovely and floral, with light, chalky mineral flavors.” This is an aromatic and elegant red, with fine-grained tannins and a touch of white pepper. 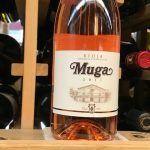 Muga Rioja Rosado 2017 ($16.99) Our favorite rosé arrived yesterday! 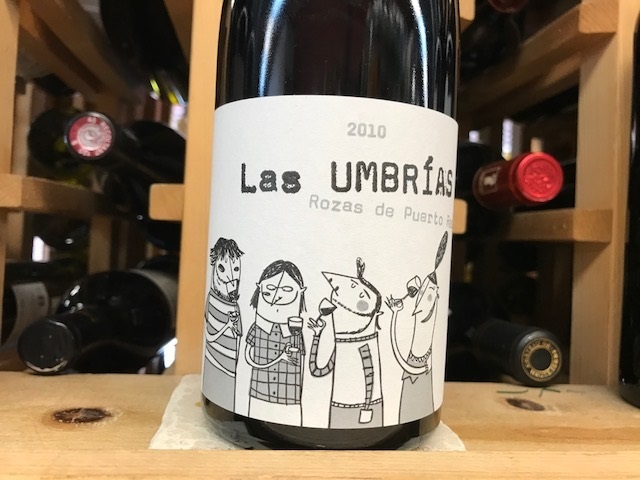 With a gorgeous pale salmon color, the 2017 is a blend of 60% Garnacha, 30% Viura and 10% Tempranillo. Fermented for 15-20 days in small wooden vats, it is aged on the lees for 3 months in order to enhance its sensory qualities. Elegant fruit aromas have light citrus notes with balanced acidity and mineral notes. Delicate and refreshing. 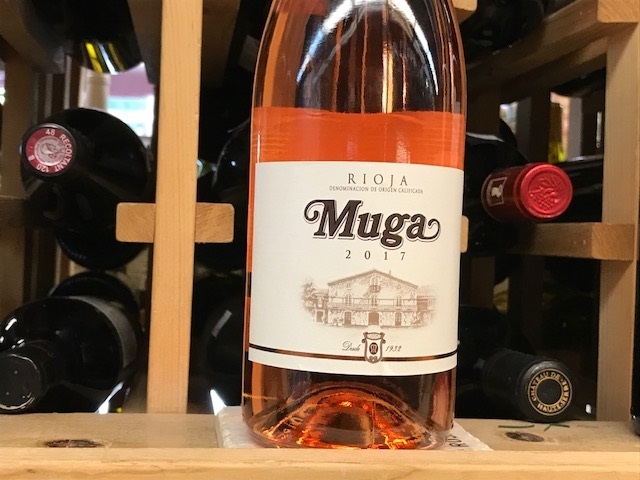 Muga Rosado never disappoints, and it’s so popular that it’s usually allocated! 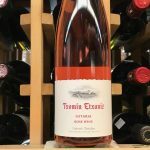 Txomin Etxaniz Getaria Txakoli Rosado 2017 ($22.99) LIMITED If you’re unfamiliar with Txakoli wines from the Basque country, don’t hesitate to try this one! Made from the Hondorribi Beltz grape, it offers up a slight spritz. 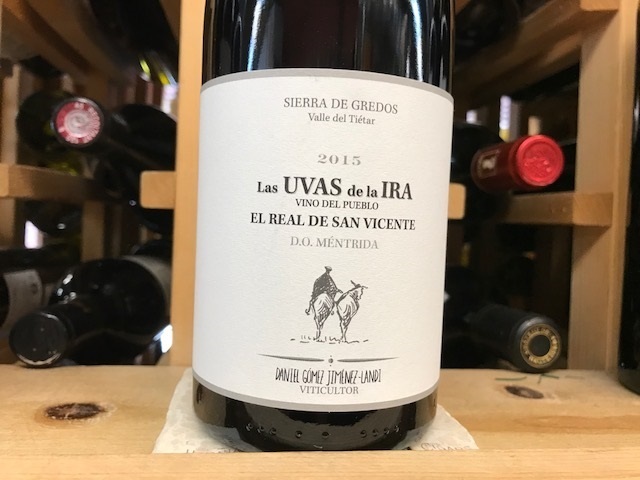 Extremely dry, with notes of watermelon, rhubarb and citrus. Slightly tart and very fresh with low alcohol (11%) it dances lightly across the palate. 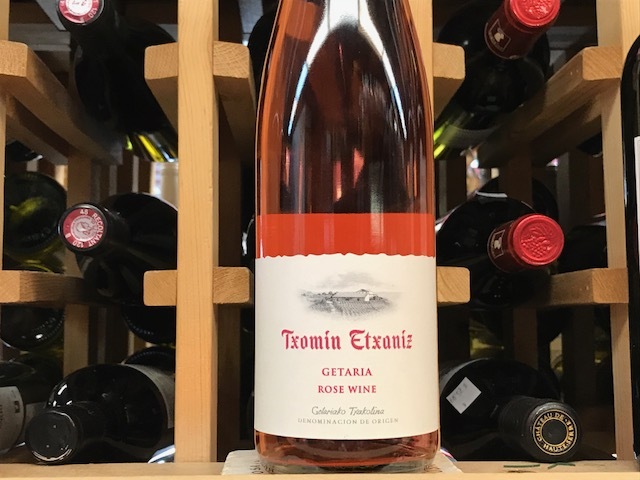 This food-friendly wine pairs sensationally with shellfish or charcuterie. 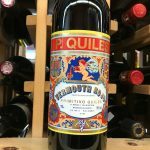 Primitivo Quiles is back in stock! 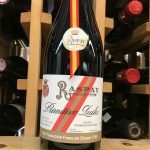 Raspay Primitivo Quiles Reserva Especial 2010, Alicante ($21.99) This distinctive red defines traditional winemaking, as its vinification methods have not changed since 1780. 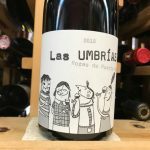 100% Monastrell from 80 year old vines. 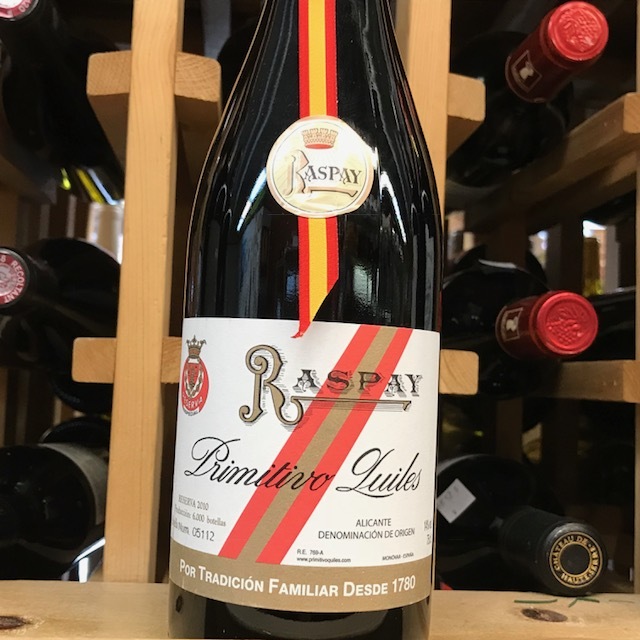 Notes of leather and dried fruit, with silky tannins and a hint of spice. 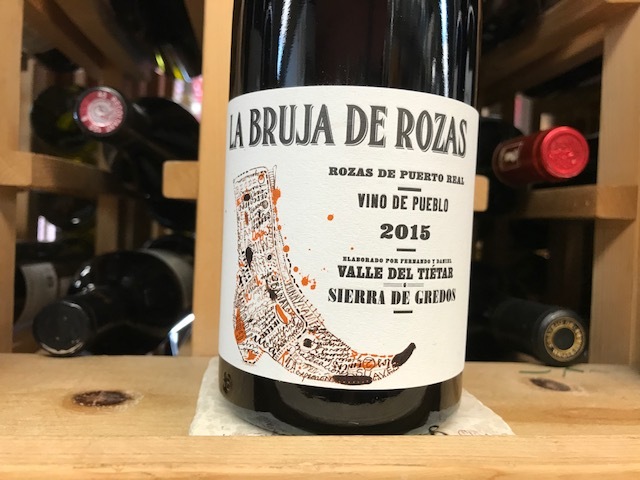 Great for anyone who loves traditional Spanish reds. 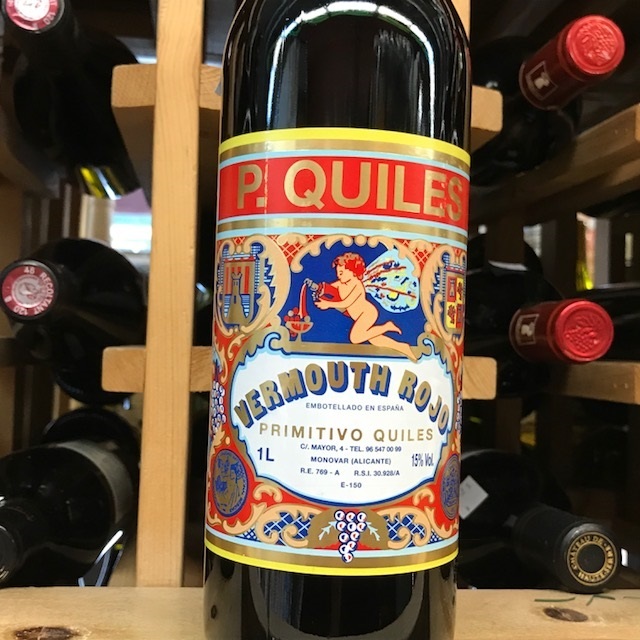 Primitivo Quiles Vermouth Rojo, Alicante ($19.99 1 liter) The base wine is macerated with fennel, sage, clove, and others to which alcohol and caramel (for color) are added. Medium sweet, with flavors of quinine, baking spice, orange citrus and a hint of caramel. 1 liter bottle. Book Sale Continues: Take 45% off all titles except “Paella” by Lorraine Turner and “La Paella” by Jeff Koehler. 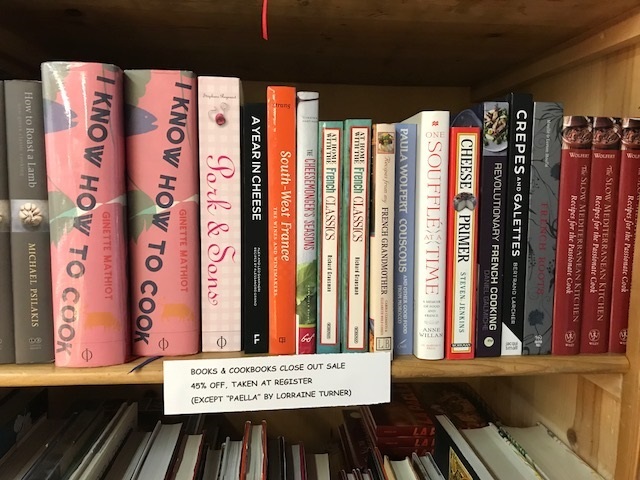 Looking through one of these sale cookbooks yesterday, Kelsey and Mercedes discovered “The African Kitchen” by Josie Stow and Jan Baldwin ($20.00 less 45%). We just have one copy left, and it’s full of recipes using spices such as Peri Peri spice blend and Ras al Hanout. See recipe below for Peri-Peri Shrimp Kebabs. 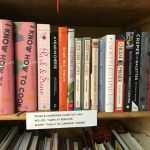 We’ve got many great cookbooks, wine books, travel and light reading titles on sale. Up your recipe game with a new cookbook! IN A HURRY? 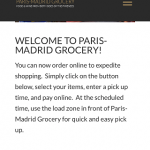 USE OUR ONLINE ORDERING TOOL. To help reduce shopping time for dinner and party ingredients, you can now order charcuterie and cheese sliced to order on our website! You specify a pickup time, we’ll confirm the order and call you for credit card information. 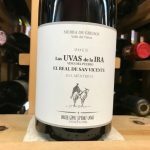 (You may add other products at that time, such as paella ingredients, wine, olive oil….items we carry that aren’t on the menu yet). Then, simply use the load zone in front of the shop to run in and pick up your items, and you’re on your way. 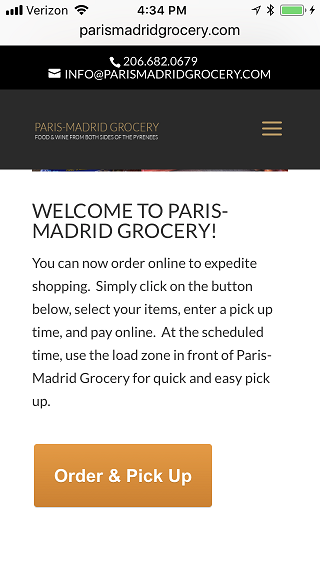 To order online, visit parismadridgrocery.com and click on “Order & Pick Up” to view the current menu of products. (We’ll continue to add other popular items to the menu.) For sliced meats and cheeses, please select the quantity of each that you’d like. When finished, view the cart and check out. Please let us know if something goes wrong! We appreciate your business, whether it’s an online or face-to-face experience. Melt the butter with garlic and set aside. Heat olive oil and add one pepper. If it pops and bubbles, the temperature is correct. Add all of the chilis to the pan and remove from the heat, leaving them to cool for 10 to 15 minutes. Add the lemon juice, garlic butter and salt to the chilis. Thread three shrimp onto each skewer, then brush with the peri-peri butter. Grill shrimp on a barbeque, basting and turning until the shells have turned orange, about 4-5 minutes. Wrap paper napkins around the base of each skewer and hand around.